Kaysha Corinealdi is an Assistant Professor of History in the Institute for Liberal Arts and Interdisciplinary Studies at Emerson College. Her research interests include twentieth century histories of empire, migration, and activism in Latin America, the Caribbean, and the United States. Her current book manuscript, Defining Panama: Diasporic Possibilities, Nationalism and U.S. empire in the Americas, focuses on the activism of Afro-Caribbean Panamanian journalists, teachers, labor union organizers and civic association leaders as they navigated imperialist and hyper nationalist policies of racial exclusion, xenophobia and disenfranchisement spanning from the interwar to the early Cold War periods. 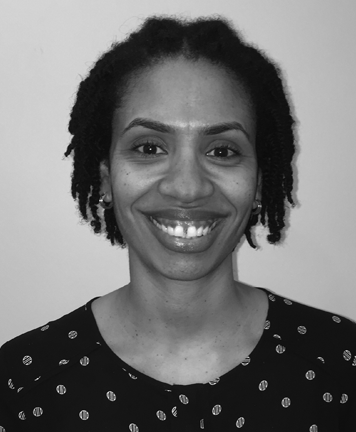 Dr. Corinealdi’s most recent work includes the essay “Creating Transformative Education” (International Journal of Africana Studies Fall-Winter 2017), which explores questions of empire, segregation and pedagogy as they pertain to Afro-Caribbean Panamanian public school educators in the Canal Zone and New York City during the 1950s and 1960s. Her reviews and essays have also appeared in journals such as Western Folklore, the Hispanic American Historical Review, and the Global South.